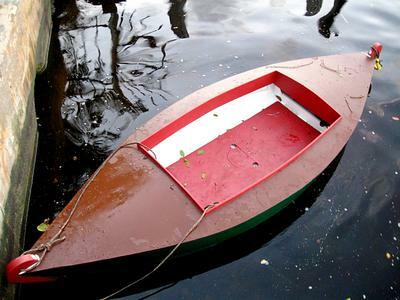 This is my little boat after an afternoon of playing Tom Sawyer in the canals near my house. Hi there this going to be a fun. Canoe fishing is big in New Zealand and I have always wanted to build a canoe. All the best to my fellow woodworkers out there thank you so much for the plans. I just wanted to say thank you. For all the help your plans provided. Could have done it without prints. But with plans it is like any puzzle. Just make pieces for puzzle .with your drawings it msd it simple. So sorry to take so long getting back. This looks like an awesome site you have here, and I can't wait to get more involved. My conputer was acting up for a while and I am still doing some catching up. Your "Mignonne" looks like a dream. There is just something about a double ender. They are like the Redheads of the boat world. I have many plans and dreams (Is there a difference?) that I will be posting on this site in the very near future. I am already working on my second boat built from Plans off of Svensons. And can't wait to start the on the third. I'm looking forward to seeing and hearing about you and your Pintail. Ah, good old Svensons for keeping all those superb free plans from "Popular Mechanics", "Popular Science" and the "Boat Builder Handbook" available. There are a few more boats built from these plans over at the PM 38 Club.